Hosting: 1 Full Year – Included! 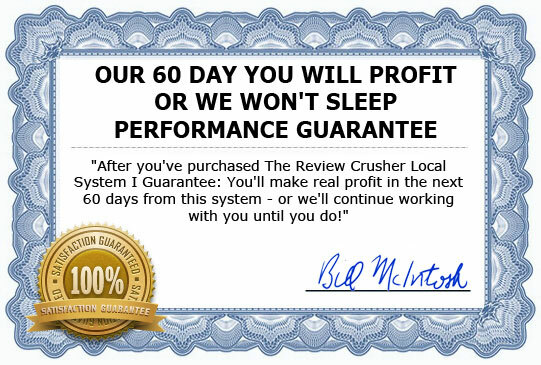 ReviewCrusher Video Training: A four part step-by-step training series on the entire ReviewCrusher model. ReviewBroadCaster: Broadcast your clients good reviews to sites like Google+ Pages, Yelp, Foursquare & many others! Premium Advertising System: Charge clients a premium for sponsored ads on your site. The entire process is automated! 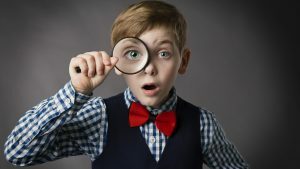 Structured Data: Your sites filled with the structured data to inject business listings, geographic data & most importantly star rated reviews directly into Google search results! Hangout Review System: Upcoming live training reveals how to grab page 1 rankings, traffic, content & new local business customers all at the exact same time! VIP Email Lifeline: Having a problem? Need some help? Have a question? No Problem! You’ve got 90 days of direct 1-on-1 email coaching from an seasoned expert who will help you succeed! VIP Coaching: 90 Days of hand holding, support, answers & coaching 1-on-1 With our resident offline marketing expert. If your email lifeline doesn’t solve your problem – no problem! We will jump on Skype & help you 1-on-1! I’m right smack in the middle of developing this amazing lead grabbing software that will scour the Internet & bring you leads from businesses who desperately need your help with their reviews! As a fast action taker – it’s yours FREE! You Don’t Need To Be A Tech Wizard: We’ll set up your sites for you! 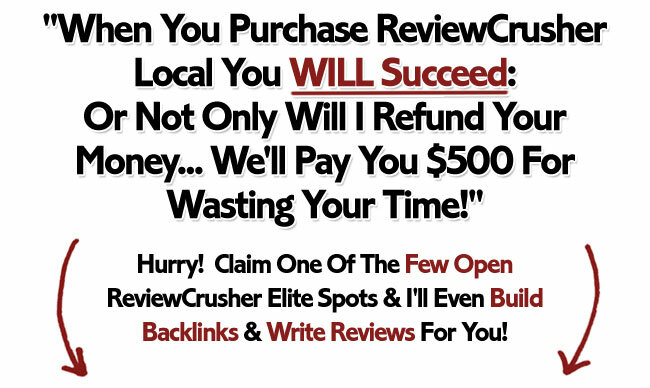 When you grab ReviewCrusher Elite we’ll even get you backlinks & write reviews for you! You Don’t Have To Worry About Hosting: We’ll host your sites for you an entire year at NO CHARGE! You Don’t Even Need A Website: The site we’re building for you attracts customers, does your sales & even fulfills all the paid services for you! If you’re already doing offline marketing – it’s a complete no-brainer to add this to your line-up to help attract new leads & have a completely new service to sell your customers! Something Millions Of Local Businesses Need Desperately!